Imagine this, its ninety degrees and the traffic is at a crawl. The air is just sitting there, no breeze at all and the temperature is rising and so is your emotions. Rolling down the windows isn’t doing it so you reach over to turn on your air conditioning and it’s just blowing heat. Head over to Elkhart Mechanics to have them check your air conditioning system. It could be your system just needs a recharge, which doesn’t take long or cost much. It could be your compressor needs to be replaced, which the workers at Elkhart Mechanics can do in a timely manner and at the cheapest prices around. 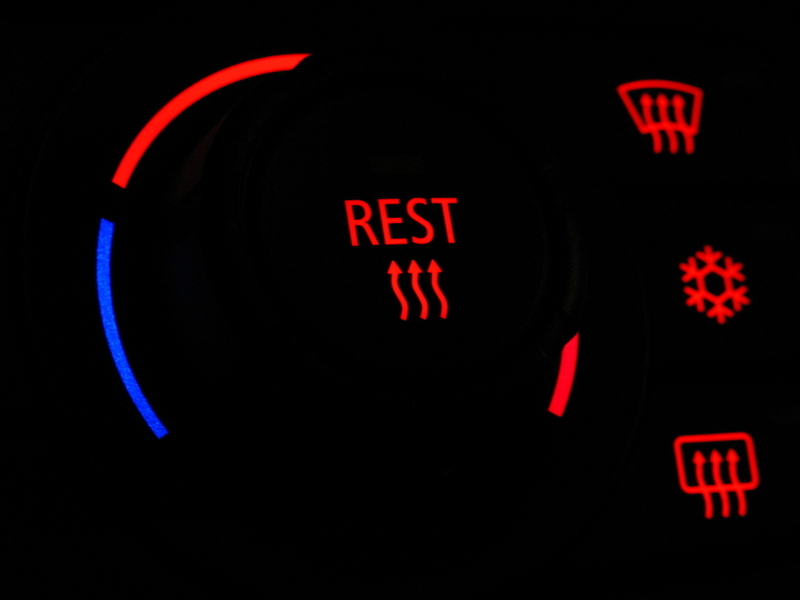 If you keep take care of your air conditioning system, you’ll be sitting pretty on those hot, hot days. Summer road trips are the stuff of happy memories, but they can quickly become a chore if your car’s air conditioning is not working properly. A number of things can lead to air conditioning problems, and some of them are easy to fix. If your air conditioning is blowing out cool air, but it is not as cold as it should be for the temperature setting you have selected, it could indicate a problem with the cooling fans or the radiator. It could also mean that the condenser is obstructed by debris or that your cabin filter is clogged or in need of replacement. If none of these are the problem, you may need to add refrigerant to your compressor, or the compressor might have a faulty clutch or cycling switch. If you keep adding refrigerant, but still only warm air is coming out, it might be that your air conditioning is leaking. The source of the leak might be anything from compressor hoses to the condenser or the evaporator. If moisture gets inside your air conditioning, it is possible for ice to form inside the tubes. When this happens, the air conditioning usually alternates blowing warm air and cool air, and you may need to have your air conditioning evacuated with a vacuum pump. If your air conditioning makes noise, the problem is probably with the compressor. It may need to be replaced, or it may have the wrong kind of lubricant or be contaminated with refrigerant. If the air from your air conditioning smells bad, it is probably because of bacteria and mold growing on the evaporator, so you may need to have it cleaned. Evaporators made in recent years are treated with chemicals that prevent the growth of microbes. Elkhart Mechanics is here to fix any problem with your air conditioning.